Marcel has been our dedicated assistant coach since 2005. Working mainly with our defense, he has been an integral part of our players� development. With more than forty years of hockey experience, Marcel has much to offer each player on the team. Mallory Briggs was first on the varsity team from 2001-2003 and then volunteered to help coach the 2003-2004 season. Rick Chrusceil was head coach of the varsity team for the 2008-2009 season. Jon joined our coaching staff in the fall of 2010 and has been instrumental in developing players who are new to hockey. Jon is a Boston area native and played high school hockey at Canton High before going on to play for Suffolk University. He was a member of the record setting 1990-91 Suffolk team, who are now in the Suffolk University Athletics Hall of Fame. Jon is no stranger to coaching - he is the son of a semipro hockey player who then went on to a 30 year coaching career. 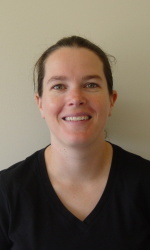 Molly Corkery was assistant coach for the varsity team from 2005-2007. Sara DeCosta was assistant coach of the varsity team for the 2003-2004 season. Melissa Deland grew up in Boston before moving to Washington, DC. She played at Potomac School there before joining the Princeton tigers playing forward. She was assistant coach for the varsity team from 2005-2007. Kirsten Domingo was assistant coach from 1996-1999. Brenna Dumont was assitant coach of the varsity team for the 1999-2000 season. Elizabeth Eissner aka Beanie was assistant coach of the varsity team for the 2002-2003 season. 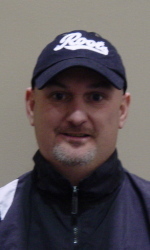 Neil Eustice was assisant coach for the varsity team for the 2008-2009 season. Tony Gray was head coach of the club team for the 1998-1999 season. Reggie has been our head coach since 1999. His coaching expertise and dedication to our club have helped us develop as individuals and as a team for over a decade. He is currently the On-Ice Director for Pro Ambitions Hockey and runs hockey camps all over the United States. Hockey is a family affair for Reggie - his father played semipro hockey and his oldest son currently plays junior hockey. Annamarie Holmes was assistant coach of the varsity team for the 2003-2004 season. Danielle Hotschlag took the helm of the varsity team in 2005 after serving as the Engineers' assistant coach for the 2004-05 campaign. Her previous coaching experience occurred during the 2003-04 season as an assistant coach with the Brookline (Mass.) High School varsity girls' ice hockey team. A defender at Princeton University, Holtschlag was a four-year letterwinner and a three-year captain for the Tigers. She was a two-time Second Team All-Ivy League defense selection and received ECAC All-Tournament Team accolades her sophomore season. As a senior, she was honored with Princeton's Patty Kazmaier Award, which is given to the senior member of the team who has made the greatest contributions to the program during her career, and best exemplified loyalty and devotion to Princeton's women's ice hockey with determination and perseverance under adverse conditions. Holtschlag graduated from Princeton in 2000 with a Bachelor of Arts degree in anthropology. Justin Keisel was assistant coach for the varsity team for the 2001-2002 season. Alana Lafferty played goalie for the varsity team from 2001-2005 and then volunteered as an assistant coach from 2005-2007. Jon Leslie first became affiliated with the MIT womens' hockey program as assistant coach shortly after the start of 2000-2001 season, and in the 2001-2002 season was been promoted to head coach. Jon began coaching in 1997 at Brighton High School in Salt Lake City, first as head coach of the junior varsity team, and later as head varsity coach. His JV team won the Utah state championships in both 1998 and 1999. During this these same two seasons, he was also head coach of two adult womens' ice hockey teams, the Salt Lake Black Diamonds. In the summers, he coached at the Heartland Hockey Camp in Deerwood, Minnesota. Jon also works as a lab assistant in MIT's Biology Department. Rachel Longley played for the varsity team from 2004-2008 and then volunteered as an assistant coach for the 2008-2009 season. Don MacNeil was assisant coach for the varsity team for the 2007-2008 season. A 10-year assistant coach with the Engineers' men's squad, O'Meara takes over the reins of the Cardinal and Gray's nine-year-old program for the 2007-2008 season. O'Meara entered the coaching ranks in 1997, where he served a one-year stint as the assistant coach of Milton Academy's varsity girls team. That same season, he joined MIT's coaching staff, working alongside his brother and head coach Mark. His experience on the ice extends beyond the coaching ranks as he spent 13 years as a power skating coach with Paul Vincent Dynamic Skating. A life-long ice hockey player, O'Meara was a varsity letterman at Merrimack College where he earned a Bachelor of Science degree in Management. Ekaterina (Katia) Pashkevitch (Piece-of-cabbage) joined MIT Club hockey as head coach for the 1995-1996 season and continued as head coach of the varsity team starting the 1998-1999 season. After three years as head coach of the MIT womens' varsity hockey team, Ekaterina "Katia" Pashkevitch is taking a season off to play for the Russian womens' Olympic team in Salt Lake City. Before her head coach position, she spent two years as coach of the MIT women's club hockey team. Katia also played for the Assabet Sr. team in Massachusetts' South Shore League, where her team won the state championship in 97, 98, 99, National Championship finalist in 98, and National Championship semifinalist in 99. Katia began skating at the age of 3 in her home town of Moscow, Russia. She has been playing ice hockey for over two decades and has competed at the international level as a member of the Russian National Women's Team since 1994. She led the Russian Team to both Gold (Pool B) and Silver (Pool A) Medals in two European IIHF Championships in which she received three MVP awards. Recently, she played and received MVP awards in the 1997 and 1999 World Championships. Her jersey hangs in the Hockey Hall of Fame in Toronto, Canada. Coach Quinn started coaching boys hockey almost thirty years ago and brings a varied background to the MIT program this year. His teams have enjoyed success at every level including a 1998 boys team that finished the season with a record of 35-20-5 as well as winning the league championship. For the past three years he has turned his efforts to girls hockey and has worked with the number one women's program in the country, Assabet Valley, winning the state championship in 2000 and 2001. His most recent team's record was 29-5-8, out scoring their opponents 187-44. Of the 42 games played, 16 were won via a shutout and two tournament titles were obtained, including the prestigious Brampton Canadettes Tournament in Toronto last Easter. Brian comes from the world of computers having owned various businesses. He continues to work with both the boys and girls programs at Assabet Valley. In his spare time, Brian closely follows the U.S. National Women's program. Andrea Richmond was assistant coach for the varsity team for the 2008-2009 season. Coach Sasner began her coaching career at Cornell in 1993, where she stayed for five years. In 1996, she lead the team to the Ivy League title and was named the conference's Coach of the Year. In 1998, Coach Sasner moved to the University of Wisconsin to help them start their women's ice hockey program. In just their second season as a team, they earned an impressive 15-8-1 conference record. In 1999, Coach Sasner joined USA Hockey as an assistant coach for the womens' national and Olympic teams. Her two years with the team saw a 76-3-1 record for the team and a silver medal at the 2002 Olympic Games in Salt Lake City. During this time, she also served as president of the American Women's Hockey Coaches Association. This year, she was the featured speaker at the USA Hockey Girls'/Women's National Championships in Anchorage, Alaska. 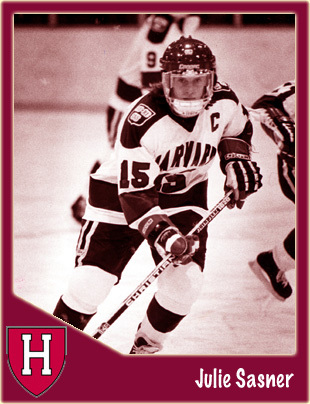 Before coaching collegiate hockey, Coach Sasner played on the Harvard University team. She was named rookie of the year in 1985, served as captain for three years, and helped lead the team to back-to-back Ivy League Championships in 1987 and 1988. Following this, she joined the US National Team, winning a silver Medal in the 1990 Olympics. Never a stranger to new challenges, Olympic veteran Julie Sasner took command of the MIT hockey program in 2002 and immediatley took measures to improve both the vision and the attitude of a program still in its infancy at the varsity level. Jen Selby played on the varsity team from 2000-2003 and then volunteered to help coach for the 2004-2005 season. Cheryl Tate was an invaluable goalie coach for the team from 2004-2007. Lauren Trottier was assistant coach for the varsity team from 2001-2003. Susie Wee was assistant coach for the club team for the 1995-1996 season.